Orizaba (2008) is a performance work that utilizes the traditional image visualization processes of the art of memory as a compositional technique to reconstruct the rooms of a house in Mexico City, where I spent the first four years of my childhood and of which I only retain fragmentary and suggested memories. 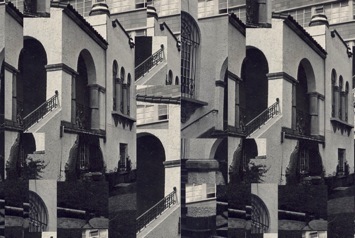 The narrative, constructed as a poem with seven sections, establishes in the first section the images of twelve areas of the house with a number of corresponding images to each, and later developing in the subsequent sections with a visual and verbal variations of those images and spaces, in a similar way to the musical format of the fugue. 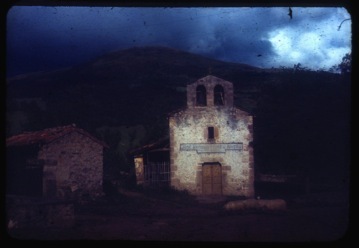 Twilight (2008) is a video that presents the ektachrome slides taken by my grandfather, Iganacio Helguera, in a trip he made to Europe shortly after World War II. With images of depopulated city views, sunsets and landscapes. The video contains four alternative narratives which can be heard together or separately, which include memory images from the memory systems of Giordano Bruno, an essay on the role of collective memory in Europe after the war, and the actual description of Ignacio Helguera’s tourist journey to Europe when he took these images. The fourth sequence integrates the previous three narratives, also again in the format of the fugue.